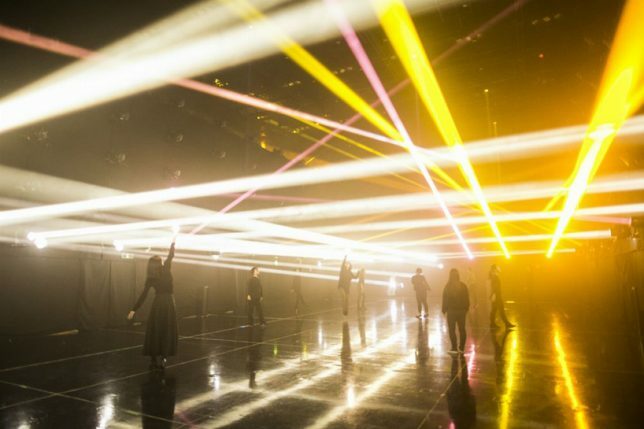 Anyone who visits ‘Music Festival, TeamLab Jungle’ this summer will get to immerse themselves in a space made of light, interacting with moving beams to help produce collaborative crowd-sourced music. 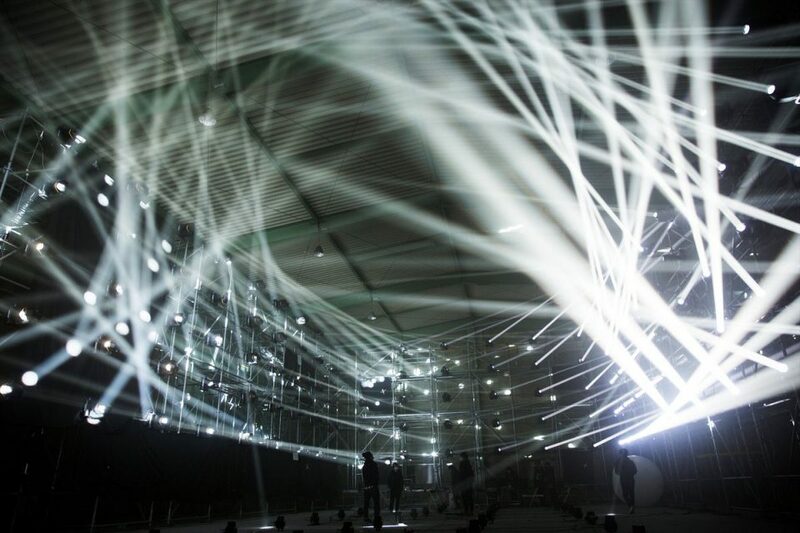 ‘Light Chords’ is one of three ‘4D’ light-based installations the Japanese interdisciplinary group has planned for the event, all of which represent a unique intersection of art, design, technology and nature. 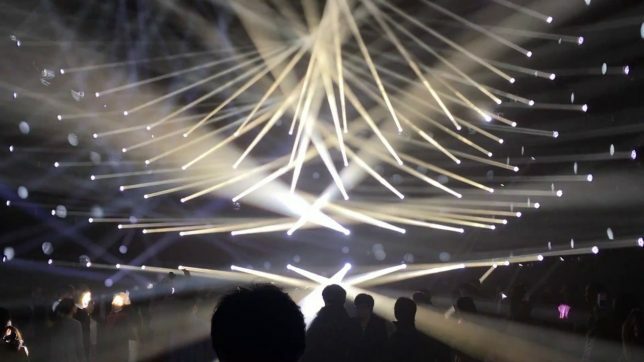 ‘Light Chords’ aims to create the sensation of being inside a massive musical instrument, touching the ‘strings’ to produce a sound and hearing it reverberate all around you. 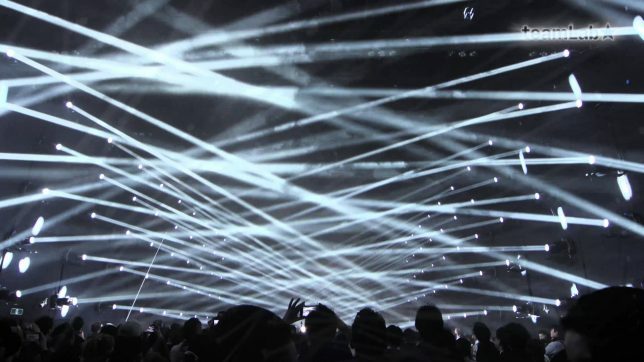 The beams of light rise into the sky when touched and then settle back down to be activated again. 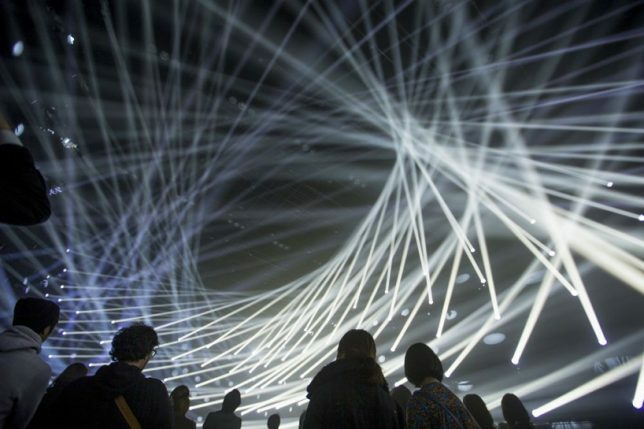 The second 4D space, Light Vortex, places visitors at the center of a surreal light show that bends and stretches around the space, while ‘Light Cave’ builds complex light-based architecture over attendees’ heads. 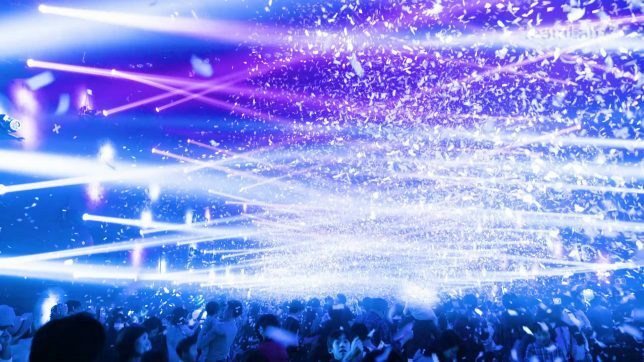 Known for their use of illumination as an artistic medium and for a focus on interactivity, TeamLab brings their ‘Music Festival’ to various cities and spaces each year, with different experiences to be had by day and by night. 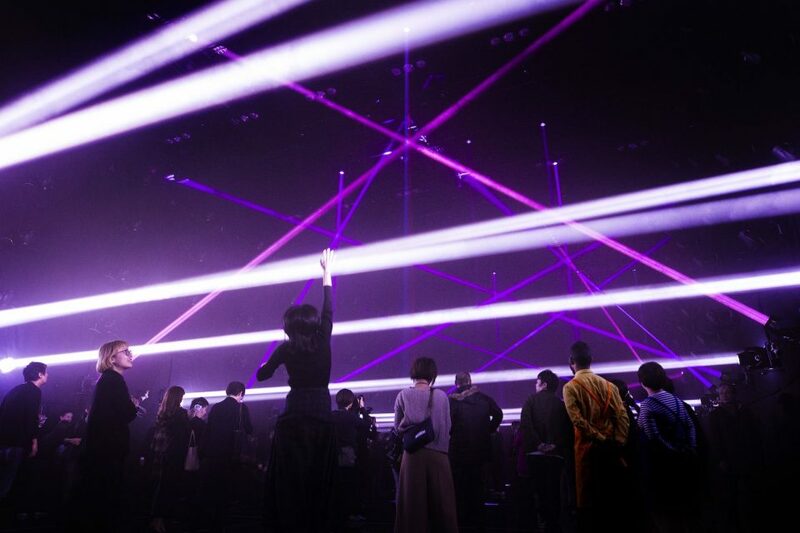 Before dark, TeamLab Jungle is designed as a music festival for families, while after dark it becomes more like a dance party with BACARDÍ-sponsored bars.